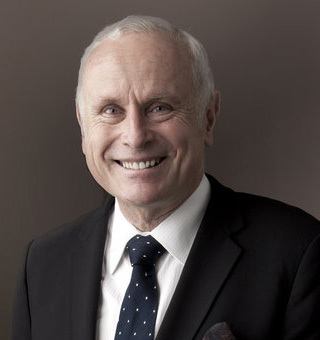 Andrew McKinnon is a former lawyer and ABC journalist who, in 1986, established what has become one of Australia’s most respected commercial production houses specialising in fine entertainment. For more than thirty years he has presented many of world’s greatest singers, actors, and musicians in a wide range of theatrical and operatic performances, concerts and recitals throughout Australia and New Zealand, and has also taken productions to Canada and the United States. Highlights have included immensely popular tours of Dickens’ Women, starring Miriam Margolyes and John Martin; a fully imported American production of the Gershwin opera Porgy and Bess; the world’s greatest mime Marcel Marceau; a presentation in the Avery Fisher Hall at the Lincoln Center, New York, of Scotland The Brave; a concert tribute to His Holiness the 14th Dalai Lama at Sydney Opera House; tours by Larry Adler, the Vienna Boys’ Choir, classical guitar superstar Milos, pianists David Helfgott, Piers Lane, Alexander Gavrylyuk; and leading opera stars including Victoria de los Angeles, Nicolai Gedda, Dmitri Hvorostovsky, Sir Thomas Allen, Sumi Jo, Teresa Berganza, Teddy Tahu Rhodes, David Hobson, Joan Carden, Yvonne Kenny and Inessa Galante. Recent presentations have included Patricia Routledge and Piers Lane in Admission: One Shilling; a new show by Miriam Margolyes and John Martin, The Importance of Being Miriam, devised and directed by Peter Adams; and a sell-out tour of From Broadway to La Scala, starring Greta Bradman, David Hobson, Lisa McCune and Teddy Tahu Rhodes, with leading orchestras conducted by Vanessa Scammell. “The Importance of Being Miriam” is now available on DVD through ABC Classics and From Broadway to La Scala, directed by Tyran Parke, was broadcast on Foxtel Arts on New Year’s Eve 2015. Presentations in 2019 include Nicole Car and Etienne Dupuis in recital with Jayson Gillham, and From Broadway To La Scala starring Teddy Tahu Rhodes, David Hobson, Caroline O’Connor, Emma Matthews, Alexander Lewis and Genevieve Kingsford. Andrew McKinnon was appointed by the Federal Government to the National Opera Review and is a proud supporter of Carers NSW.